In a recent update, Downtown Vision, Inc. (DVI), the Downtown Improvement District, released a summary of its major policy positions for Downtown. As the elections heat up, if you’re passionate about downtown redevelopment, this might be information to pay attention to. 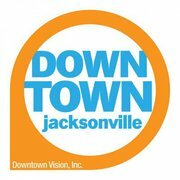 For the complete Downtown Vision 2011 Policy Position Summary, visit downtownjacksonville.org. What are your thoughts on the future of downtown development? Sound off in the comments section below. Also, don’t forget to vote in the spring 2011 local election and have your voice heard!